which once existed between man and the universe." 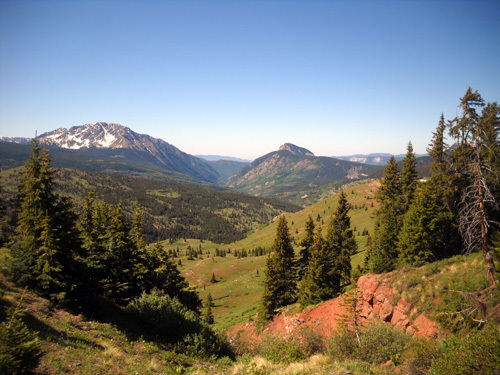 This was a great day to wander through the San Juan Mountains and commune with nature. 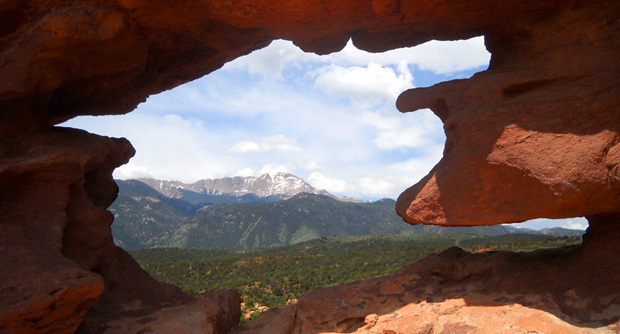 Hiking weather doesn't get much better than this, nor does the scenery. 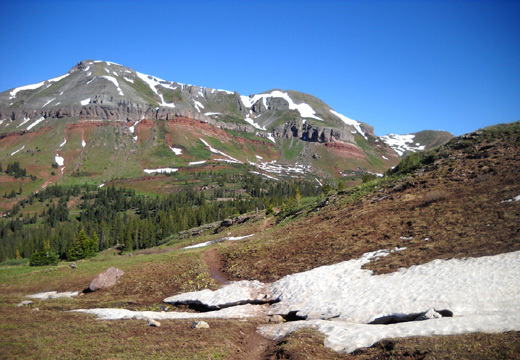 Although it was a brisk 32 F. when I started out this morning the temperature got up to the 70s in the afternoon at 11,000 to 12,000 feet elevation on the Colorado Trail (CT). 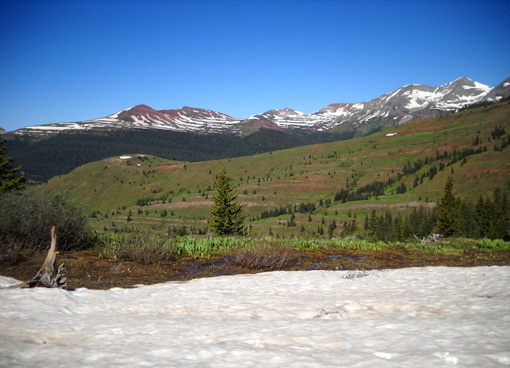 It was even warmer -- low 80s -- at 9,000 feet in Silverton. 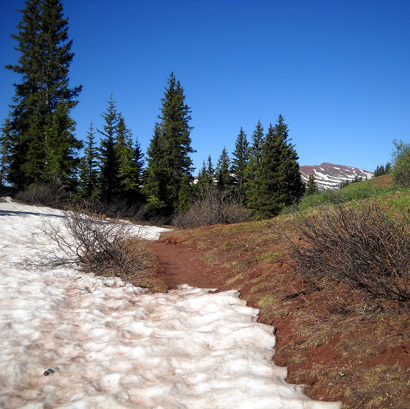 I'm betting there was some major snow-melting around here today. The sky was brilliant blue all morning, as you'll see in the accompanying photos as I was hiking outbound on the CT. Clouds started appearing over the peaks about 1 PM, which is typical during the summer in mountainous terrain but they didn't bring any wind or rain with them. Perfect! I'm glad I waited until today to do this hike. This entry will also include several pages because of the number of photos I'm including. I took 431 pictures, whittled those down to 361 when editing them, and will show you several dozen in a "virtual tour" of the trail. I hope they inspire you to venture out on this beautiful trail some day. Note that none of CT Segment 25 is on the Hardrock course although you can see some parts of this section from the HRH course higher up on Bear Mountain. 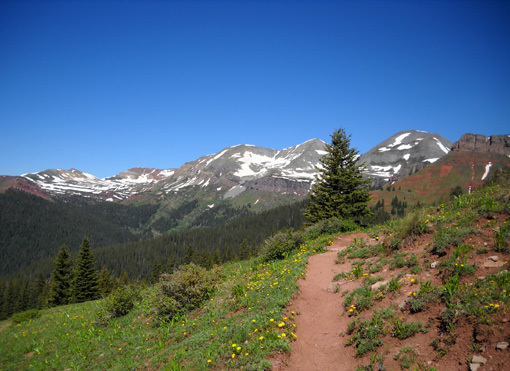 Segment 25 begins either at Molas Pass (elev. 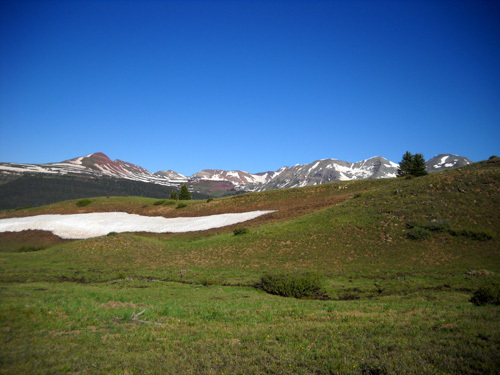 10,885 feet) about seven miles south of Silverton on US 550 or a mile west of the pass in the Little Molas Lake Campground (elev. 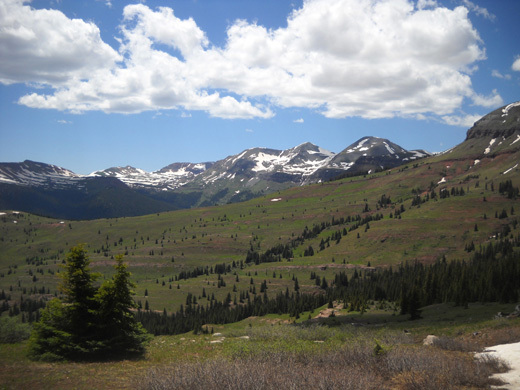 10,910 feet), depending on where you want to start/end. 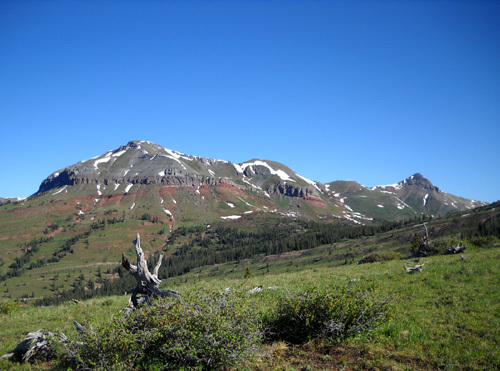 It extends for 20-21 miles west, then south, to Bolam Pass. 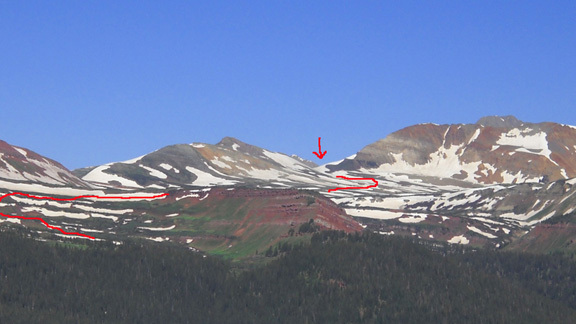 Silverton is at the upper right. 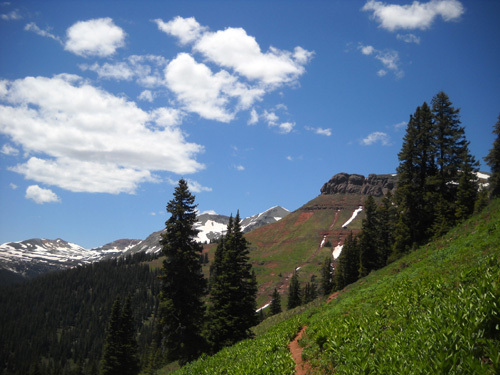 I began at "B" and hiked out and back to "F," a little over eight miles. 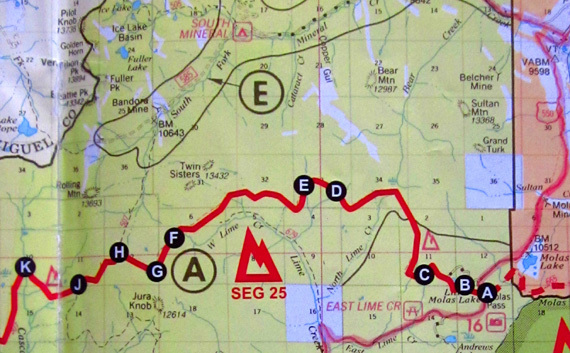 Bolam Pass is farther south and off this map section. The Ice Lake Bain is near the top of the map on the left; Grant-Swamp Pass and Clear Lake are just to the NE and also off this map. The high point in CT Seg. 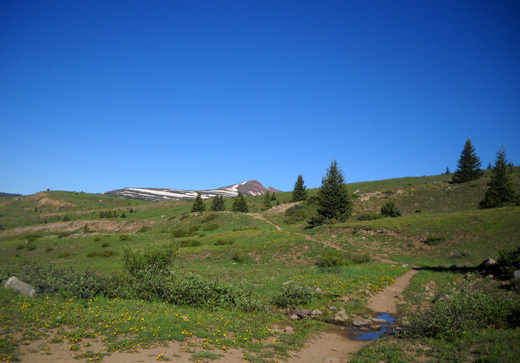 25, what I call Rolling Mountain Pass (12,520 feet), is approximately 12 miles from Molas Pass ("A") or 11 miles from the trailhead in the Little Molas campground ("B") where I started. Reaching this saddle is usually my goal when I'm hiking out and back on this segment, if for no other reason than the fantastic views north and south from it. 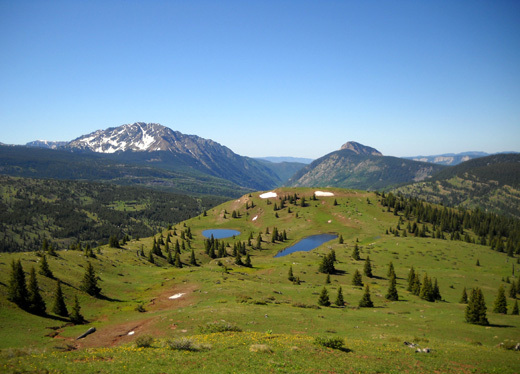 The basins below Jura Knob, Rolling Mountain, and the Twin Sisters peaks are also fun to explore. 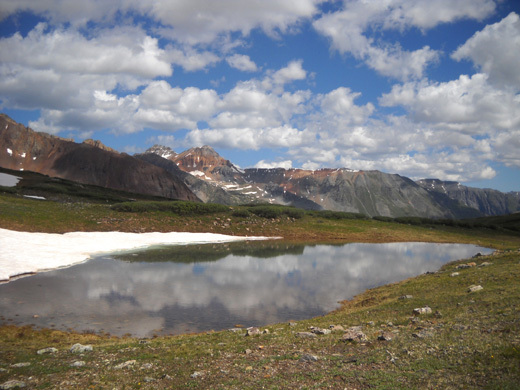 The upper basin this time last year; photo taken June 30, 2010. Pretty sure that's all snow and ice right now! 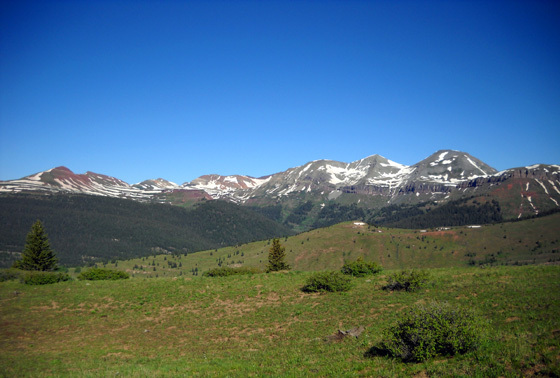 The only time I've done the entire 21-mile segment point to point from Molas Pass to Bolam Pass was in 2006. 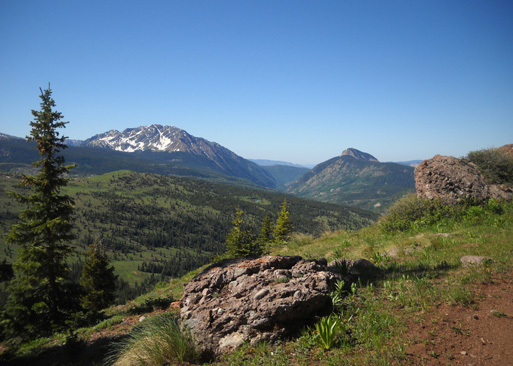 Since then I've done several out-and-backs to or near Rolling Mountain Pass for runs/hikes of 18-22 miles. 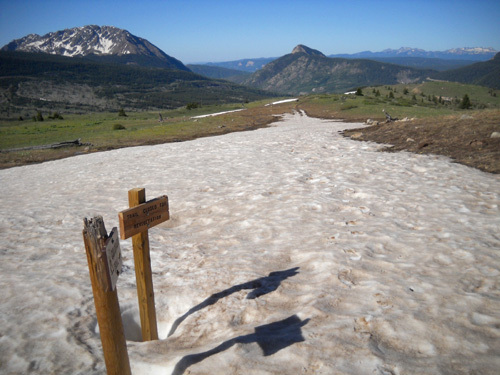 I've also climbed up to Rolling Mountain Pass on the Rico-Silverton AKA Mineral Creek Trail at the end of South Mineral Creek Road several times but that wasn't advisable today with the creeks so high and with so much snow above 12,000 feet. 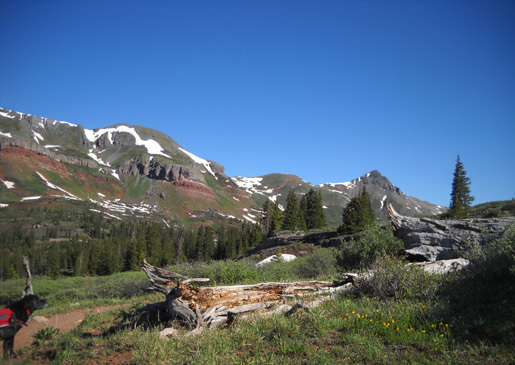 You can find photos from all these treks in previous journals. Jim dropped Cody and me off at the Little Molas Campground trailhead early this morning. The majority of these photos are in order as I hiked outbound. 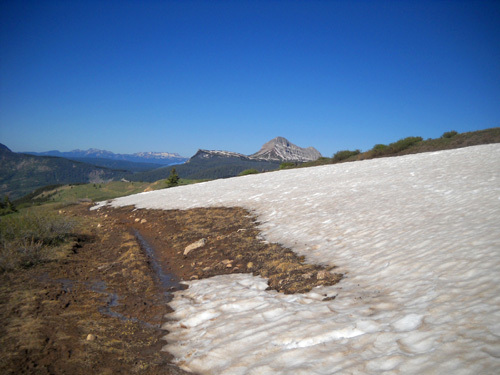 The worst patches of snow at the 11,500-foot level were about two miles in, on the old Jeep trail heading north toward Sultan and Grand Turk peaks. I was surprised because that slope has a sunny southeast exposure. Two polite young male cyclists from Durango passed me on the trail a few minutes before I reached this area. 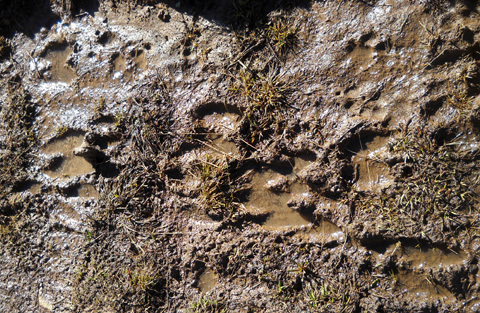 I found them stopped along the very muddy trail below the first of two long snowed-in spots on the jeep track. They wisely chose to turn around and go back down. My original plan was to hike for a total of about five hours but if the weather was good, the trail was passable, and Cody and I were holding up well . . . I wanted to extend it to six hours. Jim and I checked for phone reception at the trailhead and we had signals. 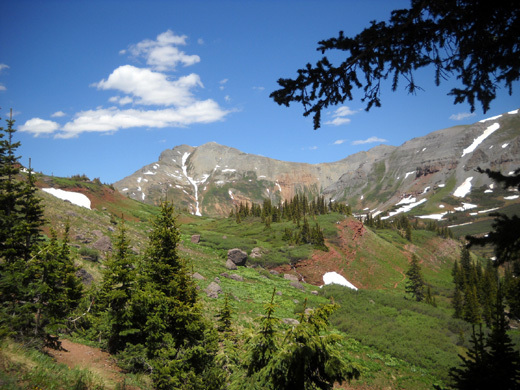 Fortunately, I had an even better signal on the trail and was able to call Jim three times re: when I�d be done. 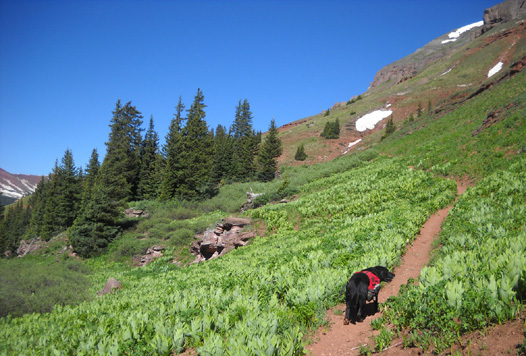 The trail, the weather, and Cody�s and my energy were all so good that I stayed out there for over seven hours! Looking back south toward Engineer Mtn. I hiked 16.6 miles in 7:15 hours, to be exact. 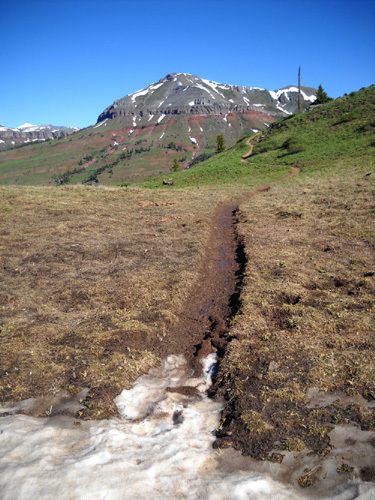 That's a much better time than I did two days ago going up to the Lower Ice Lake Basin and Grant-Swamp Pass. This trail is generally easier, I wasn't plowing through as much snow today, and I admit I did a little bit of running so I wouldn't be out there even longer than I was. My time was faster doing longer miles at the Bighorn race, though. That's because it was a race and even when I'm mostly walking I still have some pride! What a day! I just love this section to begin with. 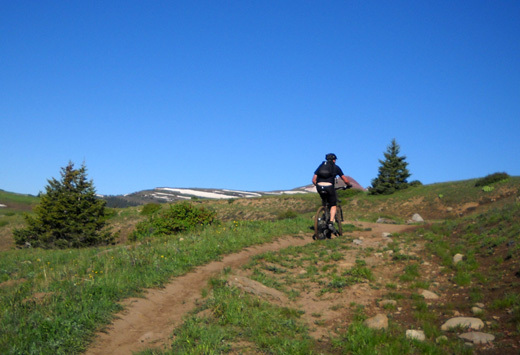 Much of the trail is smooth, it doesn�t have a huge amount of elevation gain and loss, and the scenery is great. And like the other hikes I've done in the past week, it was interesting to see it in a more wintry phase. 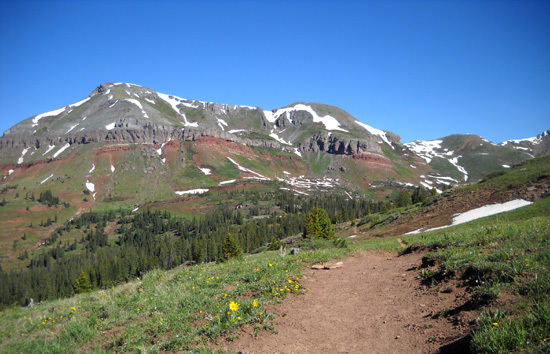 I started at just under 11,000 feet, spent most of the time at 11,500-11,800 feet, and gradually got up to 12,000 feet where I turned around � just inside the �hanging alpine valley� 8.3 miles up from the campground. Most of the elevation gain on this segment comes in the first 2-3 miles to the turn just below Grand Turk. 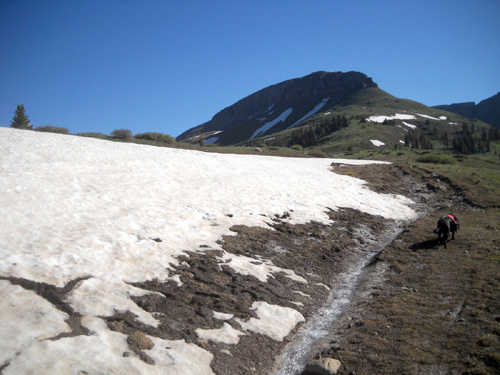 Then it rolls up and down until the climb into the basins and to the high saddle between miles 10-12.